We had 6 University Interns who helped us at the Rosie May Foundation during 2019! Read what they had to say about there time with us! Andrew: Andrew Cunnington – I’m a graphic design graduate from the University of Derby. I enjoy designing, crafting and playing ball hockey. Georgia: My name is Georgia Silva. I am a second-year student at the University of Nottingham studying Geography with Business. Iona: Hiya, I’m Iona and I’m in First Year, studying Criminology at the University of Nottingham. I’ve always loved charity work, and I have challenged myself to trek the Moroccan Atlas Mountains this June to raise money for charity. Israr: My name is Israr and I am a 24-year-old Criminology graduate from Nottingham Trent University. Mishka: My name is Mishka, I’m a second year Fashion Marketing and Branding student at Nottingham Trent University, with a background in retail management. 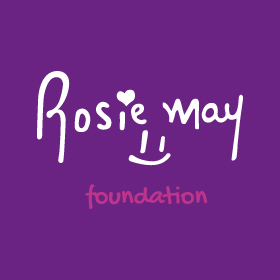 I’m currently on a 9 week placement here at the Rosie-May Foundation as the Project Coordinator for the Rosie-May Shop. Sabine: I’m Sabine, a second year Politics and International Relations student at the University of Nottingham. My role at Rosie May is Fundraising Assistant. 2. What drew your interest to join the Rosie May Foundation? Andrew: The opportunity to gain design experience in the field that will help kick-start my career, as well as help a good cause get their message across with a new/updated look to the brand. I felt it was a win-win situation for both of us. Georgia: I heard about the charity through my friend who volunteered overseas in Nepal last summer. I then looked further into the website and was really interested in the projects they run. Iona: I was actually on a ferry going on the UoN ski trip when I started looking through the list of possible placements. I was drawn to the Rosie May Foundation not only for what the Foundation had achieved in Sri Lanka and Nepal, but also their future plans to expand and develop their schools. I’d never thought of a scheme like the Tuk Tuk scheme despite using many Tuk Tuks during my travels in Asia. Israr: I have always had an interest in the third sector. I did some volunteering at NCVS (Nottingham Community and Volunteer Service) during my time at university and really enjoyed giving back to a good cause. When I got the opportunity to do an internship at the Rosie May Foundation it was to good to pass up. Mishka: Firstly, I was really interested in working on this project, and felt that my career in retail as well as my understanding of Marketing and Branding would lend itself well to it. I also felt that gaining a more practical understanding of Marketing and Branding would help me gain professional development. Secondly, The Rosie-May Foundation looked like a fantastic charity that has been doing some great work over the years. I saw it as an opportunity for me to not only gain additional experience, but also be able to make a valuable contribution to the success of the charity. Sabine: I have a keen interest in development and humanitarian issues especially ones that work to help women and children overseas. I was drawn to the Rosie May foundation, in particular because I was both inspired and touched by Rosie May and her families ability to turn their personal tragedy into a successful charity, which has helped so many at an international level. I also have friends who have undertaken the placement and said that they really enjoyed it. 3. What are some of the responsibilities you’ve been given as an intern? Andrew: Updating past leaflets, with a new look and adding new information, as well as creating new ones. Designing the most recent impact report, and other items all with a similar style to keep the branding looking more consistent and professional. Georgia: I am one of the two ‘fundraising assistants’ in charge of the ASDA 10K run. Our job is to market the event, find sponsors and recruit runners. To do this I have been involved with contacting businesses and runners, setting up social media pages and posts, and carrying out various recruitment strategies. Iona: As an intern I am organising a fundraising event, the ASDA Notts 10K. I have been given the responsibility (but also freedom) to recruit runners to represent and fundraise on behalf of the RMF. It has been a task to recruit students to do a ‘fun’ run, but we have received lots of sign-ups. I have also contacted lots of businesses to ask for sponsorship for running vests. I have learnt that the smaller the business, the more generous. Israr: I was given multiple responsibilities during my 6-week internship. I did a lot of social media, grant fundraising, researching and promoting charity events for the Rosie May Foundation. Mishka: I have been given the responsibility of setting up the Rosie-May shop, including a stock count, establishing a tone of voice for the shop, redesigning the shop logo, planning and scheduling engaging Instagram posts to create a ‘buzz’ around the Etsy shop launch, and organising photo shoots to capture images for social media and the Etsy shop. Sabine: As Fundraising Assistant, my main task is to bid write which involves researching and forming applications to various trustees and funds to help financially support the charity. 4. What have been some of your highlights as an intern at Rosie May? Andrew: Finishing the first item and having it approved. Seeing some of the work I’ve done be uploaded to the Rosie May facebook page. Georgia: My highlight was when we finally secured runners after weeks of preparation and recruitment! It was very satisfying to see our work pay off. Iona: I really enjoyed speaking to the university students who were interested in applying for the international summer placement schemes. Particularly speaking to them to encourage some to sign up for the run however, it was also nice to explain to them what I thought of the Foundation and hopefully, I emphasised how much the Rosie May Foundation appreciates their volunteering and fundraising. But my highlight in the office was definitely when Luna (the dog) came in!! Israr: Going to University Park and Beeston to promote the Rosie May Foundation and the 10K Asda fun run. Being able to spread the good word about the hard work being done at the foundation was an obvious highlight. People were very touched behind the story of how the Rosie May Foundation was founded and all the hard work being done to help families and children in Sri Lanka and Nepal. Mishka: Setting up the Etsy shop itself and creating interest via social media around the launch has been really interesting to be apart of. Sabine: I have most enjoyed meeting new people at the placement. There are a variety of interns from my university and other ones which gives me the chance to meet other young people with similar passions and goals. I also enjoyed working closely with Mary on bid writing as she was so insightful and had a passionate vision for the charity. 5. What task do you consider has contributed the most impact as an intern? Andrew: Although not yet finished, the impact report. It’s the biggest project and summarises all the work that the Rosie May Foundation are doing. Georgia: I would say raising awareness of the Rosie May Foundation on campus. This has helped develop links between the university and the charity. Iona: I consider the task of speaking to businesses for potential sponsorships as having a big impact on spreading awareness of the Rosie May Foundation. Despite many businesses unable to support the Rosie May Foundation financially for this event, some have kindly provided other support. For example, the hotel on campus (which I used to waitress at) has offered us a 3 Course Meal for Two as a price to the highest fundraiser. Israr: I can’t say one task contributed more than the others. As they say ‘Every little bit helps’. With the Rosie May foundation being a small charity, every task I was given contributed towards raising awareness and helping raise money for the foundation. You can’t change the world overnight, but if you work hard at it every day, then you are a day closer to changing the world for the better. Mishka: At this early stage in my internship, a vital task was doing a thorough stock count and creating a stock and sales report to be able to fully understand what we have to sell, as well as the style of clothes we have which have then informed the brand personality. It has also allowed me to be able to set up the Etsy shop with the most accuracy as possible. Sabine: The responsibility of bid writing has a significant impact on the charity given that it is underpinned by donations from the public and trustees. Having the opportunity to do this as an intern is vastly useful as it has many transferable skills. 6. What are some of the things you have learnt from your time as an intern at Rosie May? Andrew: My overall knowledge of working with clients in graphic design has greatly improved. Georgia: This is the first experience I have had of a 9-5 office job, so I have learnt a lot of organisation and professional skills. I have also learnt a lot about working in the charity sector and how everything works. Iona: That small charities appreciate ANY donation or support from individuals or businesses. It shocked me at just how challenging it is to secure a sponsorship for a fairly small sum of money from a big company. It also taught me that the smaller, more independent, companies are the most charitable. Hopefully I will be more facilitating if I am ever contacted by a small charity asking for sponsorship in the future. Israr: I learnt how to ‘Speak it into existence’. 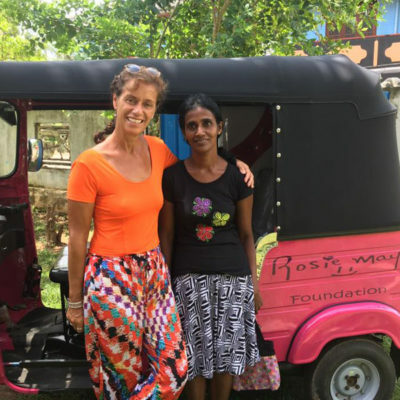 Although the Rosie May Foundation is a small staffed charity, that doesn’t stop them from coming up with ambitious projects such as the Think Pink project in Sri Lanka. The small staff at Rosie May are always brainstorming with great ideas to help raise awareness and money despite the financial limitations. Mishka: I have learnt how to set up an Etsy shop, which I’ve never had any prior knowledge of before. As well as linking shoppable posts on Instagram posts that takes customers directly to the Etsy shop page. Sabine: My time as an intern at Rosie May has improved my organisational and time management skills. I have become more proficient at using excel, my research and communication skills have definitely improved. 7. If someone who doesn’t know about the Rosie May Foundation asked you about the charity, how would you explain it to them? Andrew: They help women and children live better lives, a life they may not have been able to achieve on their own. Children especially are a big focus, their main goal is to give futures to children, futures like the one the founder’s daughter, Rosie May (who the charity is named after) was denied. Georgia: The Rosie May Foundation is an international childrens charity, set up in memory of Rosie May. The charity helps children in crisis, especially girls, in Sri Lanka and Nepal through practical, grassroot approaches. For example, one scheme ‘The Future is Pink’, trains mums to drive tuk tuks as taxis for other mums and children. 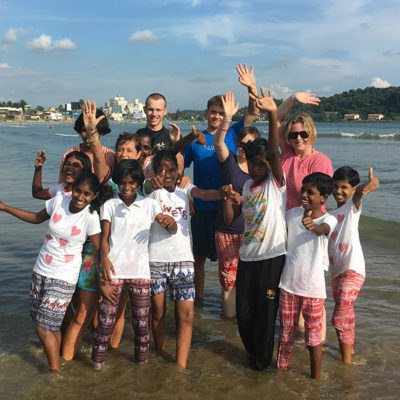 Not only is this project breaking gender and cultural barriers in Sri Lanka, but it is also helping mums generate a sustainable income and providing personal safety for girls travelling to school. Iona: The Rosie May Foundation is an international children’s charity set up by a Nottingham family in memory of their daughter. The RMF has schools in Sri Lanka and Nepal supporting children and their families. Israr: The Rosie May Foundation is a great small family run charity, ran by incredible hard-working people who work tirelessly for the sake of others. If you want to donate with peace of mind knowing your full donation is going to make a positive impact, then the Rosie May Foundation is a great charity to contribute to. Mishka: It’s an International Children’s charity based in Bingham with a mission to help children in crisis in Sri Lanka and Nepal. Sabine: The Rosie May Foundation works to give children in Sri Lanka and Nepal a loving family, an education and a bright future. We are part of a global movement to keep children in families and out of orphanages. The charity was founded in 2004 in response to the murder of 10-year-old Rosie May. Her parents have turned their personal tragedy into hope for children in crisis by creating a living legacy to their daughter. 8. What did you find difficult during your time as an intern? Andrew: Talking over email. I learned very quickly that it’s much easier for me to communicate what I need, and for everyone else to communicate what they want in my designs in person. Trying to do that over email was much more difficult, and took longer. Georgia: The most difficult part was securing a sponsor. We struggled with companies already having designated their charity budget for the year. We found it was better to contact smaller, individual businesses rather than large chains. Iona: The most difficult task during my time is definitely trying to secure a sponsor for the running vests. It’s hard to convey to businesses how much their contributions mean to a small charity; I think that many businesses assume it is easy for charities to secure funding – and sadly that’s not the case! I have also learnt a lot about the charity side of social media and the amount of time that gets put into Instagram stories! Israr: Reading up on all the personal tragedies of families and children in Sri Lanka and Nepal was very difficult to accept. But it makes for great motivation to want to help by doing your best for the Rosie May Foundation. Mishka: Counting all the stock was very time consuming! Sabine: The hardest part of the placement was juggling it with my university work load however, I have managed to overcome this with good organisational and time management skills. The staff and support at Rosie May are very flexible and understanding of university work load which makes it a lot easier. 9. What advice would you give to any future interns at Rosie May? Andrew: Just do your thing. The learning curve is quite small and deadlines are usually quite forgiving so take your time, get it right and learn. Georgia: You will be given a lot of responsibilities, but be aware that help is always on hand when you need it! Iona: Do not panic! Your internship is a valuable contribution to the Rosie May Foundation, and the team are really appreciative of your hard work. You’ll gain a lot of confidence with calling up companies and people to ask for their support. It’s also such a rewarding feeling after a day interning because you feel that your hard work has made a big impact. Israr: Be prepared to have a lot thrown at you but in a good way. The staff at Rosie May are very helpful, trusting and appreciative. You are going to help in more ways than one, as well as learn a lot on the job. Mishka: Take every opportunity the internship gives you, and make connections with the rest of the team. Sabine: I would advise any future interns at Rosie May to make the most of the placement because it is such a good introduction into the workplace and interns can learn a lot if they pay attention, and apply themselves as fully as they can. Also, to enjoy it because it is such a relaxed atmosphere with an integral cause. 10. Summarise your time at Rosie May in 3 words. Georgia: Challenging, gratifying and enjoyable! Sabine: Insightful, Inspiring and Motivational.